The two Daily Bearish Reversals are 1240 and 1186. We are holding the 1240 level for now with a minor Daily Bullish forming at 1262 and 1294. We see a turning point next week and the week of the 23rd. We do not see the meltdown yet without a monthly closing below 1190 area. 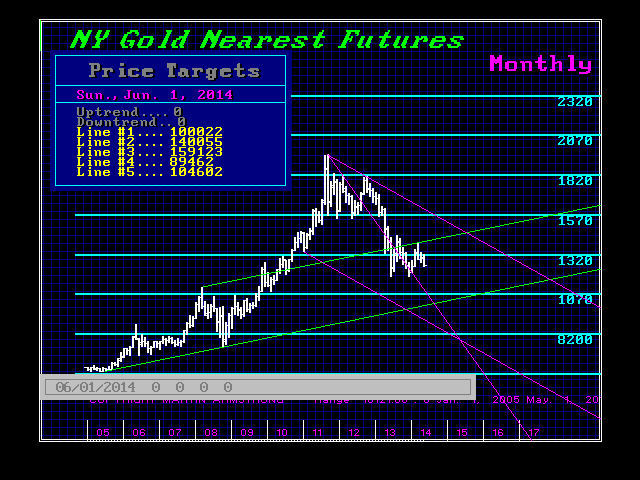 We also see tomorrow as a turning point in both silver and gold. In silver, we need to see a daily closing back above 1952 to suggest a reaction to the upside. The key resistance on a nearest futures basis stands at 1993 and only a daily and weekly closing above this level will temporarily relieve the downward pressure. It is 1825 where we see a big gap down to the high $15 range. 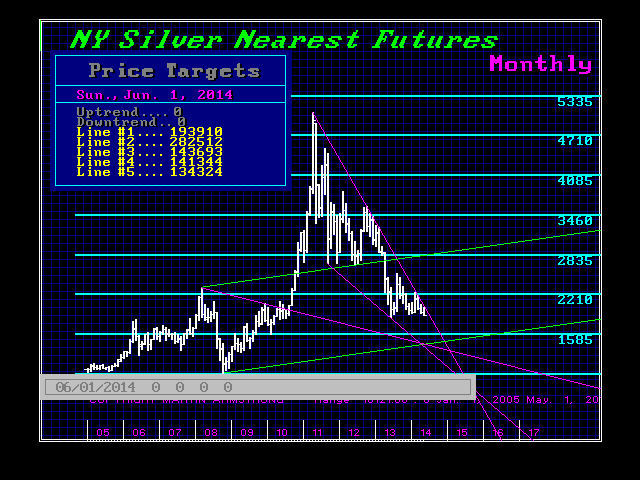 We see next week and the week of 6/30 as the key turning points ahead in silver on a weekly basis. The major support levels are at 17.30 and 13.30. « FATCA – Delayed or Realizing there is a Collapse Underway?